Minimally invasive cleansing & skin tightening treatments in Berkshire. Despite our best efforts, the signs of aging creep up on all of us at some point or another. But it is not something any of us need to just put up with. Flawless skin can become a reality. Facial rejuvenation therapies at CrownWood surgery help to create a more attractive, youthful you – with no need for surgery or any long recovery times. Our renowned cosmetic dermatologists implement cutting-edge methods and technologies to achieve the results you want. When looking for an anti-aging solution, many are unaware that there are alternatives to the more traditional surgical skin tightening treatments. But our facial rejuvenation techniques are different. Designed with you in mind, our skin tightening treatments use modern scientific and technological advancements to not just make you look younger, but to encourage your body to make it that way. We don’t rely on harsh chemicals to make you look different. Instead, we use industry-leading techniques to encourage your skin to behave in a different way, giving you a more youthful and natural looking appearance as a result. What facial rejuvenation treatments do we have to offer? 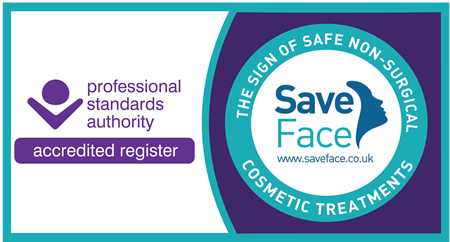 We provide a full range of skin facial treatments to our Bracknell patients looking to reverse the signs of aging. When you come in for your consultation, your MediSpa practitioner will ask you about the problem areas you’d like to correct and the kind of results you’re hoping to achieve. We always give the highest quality of care to our patients whether their needs are basic or more complex, so you can rest assured that we will help you find the perfect facial rejuvenation or skin tightening treatment for you. Standing for ‘Near InfraRed’, this cutting-edge and minimally-invasive skin tightening treatment technique is used to tighten skin without the need for surgery. Using a high-power light, your practitioner heats the area beneath the skin, causing your collagen to contract and create a firmer, younger appearance. Each procedure takes just 30 minutes and needs no anaesthetic and you’ll be back at work the same day. Click here to find out more about NIR Skin Tightening Facial. With this treatment, your practitioner in Bracknell will apply powerful ultrasonic vibrations, reaching deep into your skin. This helps improve blood flow and lymph circulation which boosts your skin’s metabolism. That means you’re able to regenerate skin cells at an accelerated rate, resulting in a hydrated and radiant appearance. Find out more about our ultrasonic wave facial rejuvenation therapy here. Our extremely refreshing Triple Action facial treatment is designed to give your skin the deepest cleanse possible, leaving your skin incredibly soft and supple. Starting with a deep-acting facial scrub, you’ll also receive a firming enzyme peel, face steamer, and blemish extraction. This is our most advanced facial rejuvenation techniques and it yields some of the most amazing results. To read more about our Triple Action Signature Deep Cleanse skin facial, please click here. If you don’t see what you’re looking for, you can take advantage of our extremely popular Bespoke Deluxe skin facial treatment. We offer our patients in Bracknell and across Berkshire the opportunity to customise their ideal facial rejuvenation and skin tightening treatment. This premium service can involve any number of different electrical treatments available at CrownWood. Whether it’s an extra deep cleanse, a moisturising skin facial, an anti-aging skin tightening treatment, or a combination of each, we’ll help you get the results you’re looking for. Skin tightening treatment is one of the most effective and least invasive ways to give you firmer, younger looking skin. The CrownWood MediSpa team are renowned for their immeasurable skill and their commitment to delivery our patients’ desired outcomes. We aim to provide affordable and flexible treatments of the highest quality, and we also aim to ensure you always leave us with a smile. To speak to our expert team about which of our luxury skin tightening treatments will help you achieve the results you’re looking for, call CrownWood MediSpa on 01344 482 882, or come in and see us at our practice in Bracknell, Berkshire to book your MediSpa consultation.